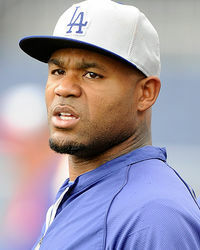 Carl Crawford was born on August 5, 1981 in Houston, Texas, USA as Carl Demonte Crawford. He is an actor, known for Sunday Night Baseball (1990), 2004 MLB All-Star Game (2004) and 2007 MLB All-Star Game (2007). To Carl Crawford: I'm Keeping the $1.4 Mil Ring! DISSES OCHOCINCO He Can't Compete With My New Man! ENGAGED to L.A. Dodgers Star ... And My Ring's Bigger Than Gabrielle Union's!!! 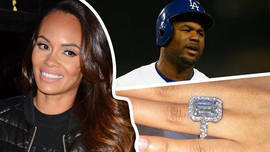 to Baby Mama: STAY THE HELL OUT OF L.A.
Evelyn Lozada’s Engagement Ring Is MASSIVE! Evelyn Lozada -- TAKES SHOT AT OCHOCINCO ... He Can't Compete With My New Man!